All songs written and performed by Real Cool Killers. Recorded live at Dadmobile Studios on December 17, 2005 by Tony Salomone. 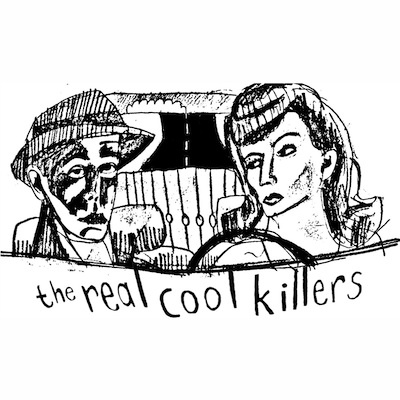 The Real Cool Killers were one the best bands ever. They had a lot of good songs but didn't bother to record most of them. They had a high distortion pedal to band member ratio. They had a low drum piece to drummer ratio. RCK performed at the Christmas Party along with various permutations of most of the other bands on Dadmobile at the time. RCK put in the only performance worth remembering. We had tried recording some of these tracks in studio earlier in the year but for whatever reason things kept getting delayed and eventually got lost in the great hard drive crash of 2005. As a result, this live recording ended up being the closest thing to an album RCK ever put out. The unnecessary swearing at the end of the last track is in response to a giant nail that had somehow gotten on stage and stabbed Greg in the foot.